You are a great American. People like you make (and keep) America great. We won't forget. On behalf of the Quinsigamond C.C. Police Department, our condolences to the family, MIT Police and the whole college community for which Officer Collier bravely served. May Officer Collier rest in peace from the daunting task of the everyday life of a dedicated MIT Police Officer and now watch over his family for eternity. Thank you for protecting us and for embodying everything good about MIT. You will always be remembered as the hero that you were. Rest in peace, Officer Collier. Thanks you Sean, for your service and ultimate sacrifice. To your family, thank you for raising a son to be proud of, an example to all. With deepest sympathy and regret for your loss. Thank you Mr. Collier for protecting us! May your soul rest in peace. Thank you for your service to MIT, and your sacrifice for the safety of our community. Deepest condolences to Officer Collier's loved ones and friends. 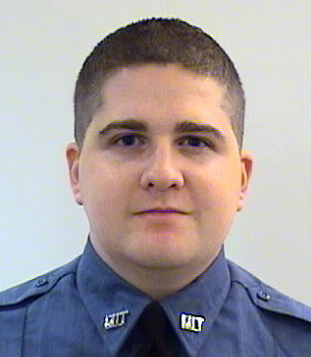 My deepest gratitude to Sean Collier and his commitment to protecting the people of MIT. In his time of rest, may he be comforted in the eternal grace of God. Your sacrifice will never be forgotten. Thank you for protecting us. You are a hero and lived the values of the police to the 't'. You are irreplaceable and will be missed. We honor you for your service to our community and your bravery in the face of pure evil. Thank you for standing up for us and proving that Boston will not be terrorized. May you rest in peace. We pray for you and your family. Officer Collier: You made the ultimate sacrifice to protect our campus, and there are no words that can adequately express our gratitude. May God be with you and your family. I am so grateful to the important work that Sean did on campus to keep students, staff, and faculty safe. I wish his family, friends, and colleagues peace and solace knowing that Sean was an exceptional person, whose loss is felt throughout the MIT community and far beyond. Thank you for your service and your incredible contribution to our community. Your presence will be missed and not forgotten. Lord, be with my deceased dear one and with those who have so loved him in this world. Guide him to the light of Your eternal rest and peace, and console those of us who remain with Your strength and love. May all of us use this difficult time to become a source of support and comfort for one another. Amen. Thank you for everything you have done for MIT and elsewhere. You are in my thoughts and prayers, God bless you. Thank you so much for your sacrifice. We admire you and will remember you. To those who knew and loved Officer Collier, may you find peace and healing in days to come. My husband and I pass along our more sincere condolences. We are so sorry about the loss of Officer Collier, and as a graduate student at MIT, I personally appreciate all that he and the other officers with MIT Police have done to keep us safe on a daily basis. Thinking of you and praying for your family. Deepest gratitude to Officer Collier and his family for their sacrifice. My sincerest condolences for this devastating loss. Thank you so much for protecting my fellow students at MIT. Whether patrolling the campus, ensuring that registered events such as presentations or parties are conducted in a safe manner, or dealing with belligerent members of the general public, you have served us with valor. You will never be forgotten.